It’s no great secret around here that I love my cat … Or that I’m rather quickly morphing into a crazy cat lady. So be it. Kiri’s only lived with me for two months, and I can’t believe how much I love her! Best. Decision. Ever. 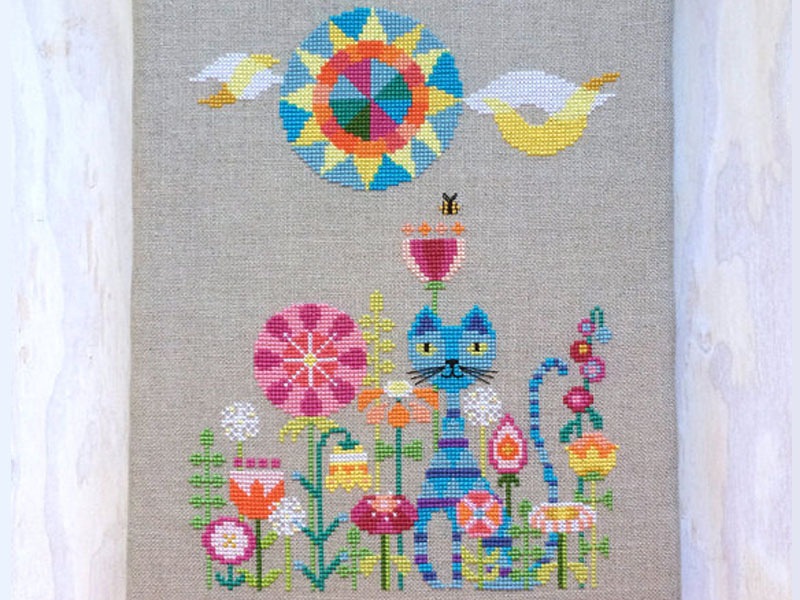 Now, I know I’m not alone in my enthusiasm, because there are some seriously cute things to buy for your cat (or to express your love for him / her). Seriously, you know you want these as much as I do. 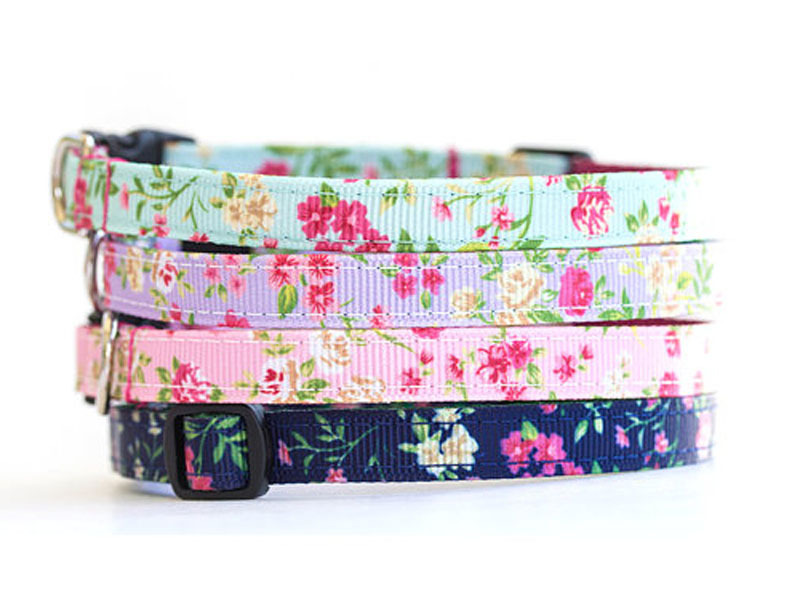 Adorable handmade collars from MonicaAnnPets. 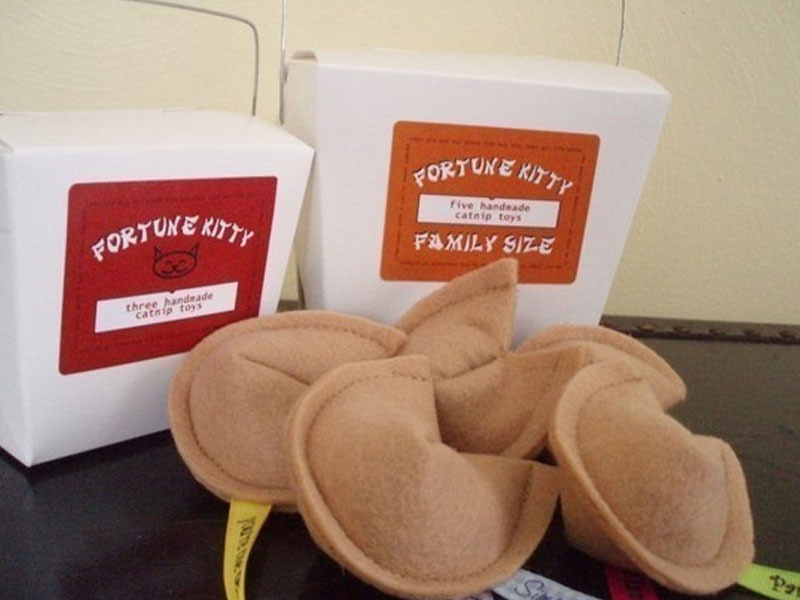 Catnip fortune cookie toys from K. Grant Designs. There are some really amazing cat houses out there … I love this simple cardboard one. 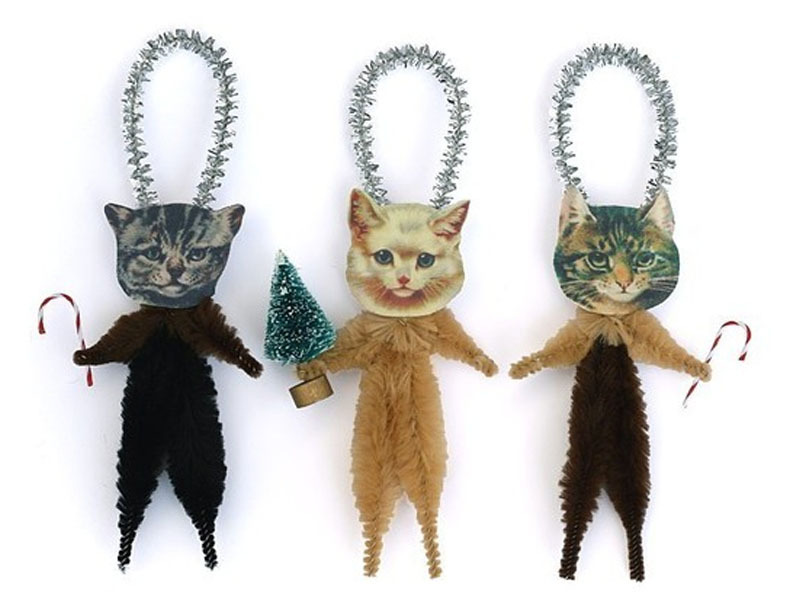 And, getting in early for Christmas, these tree ornaments are AMAZING.